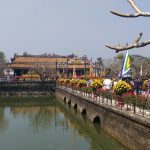 About 70 km far from southwest of Hanoi, Hoa Binh is a popular destination for tourists, attracting many local and foreign visitors. Being a tourist city, Hoa Binh is famous for its natural beauty and magnificent mountains. Coming here, visitors will have the opportunity to admire the wonderful scenery of flowers, plum blossoms spreading out in Mai Chau. 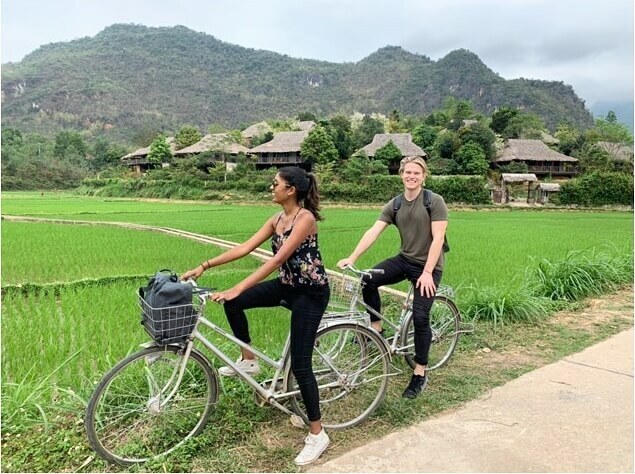 Not only having itself the beauty of nature, but Mai Chau also owns the unique cultural characteristics of the local residents with very unique customs and habits. Visitors will have the opportunity to enjoy the delicious specialities of the Lac and Poom Coong Village, providing the best experiences. 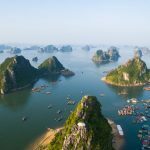 The next tourist destination on the trip to Hoa Binh would be Thung Nai, a natural wonder that is not less famous than Mai Chau. 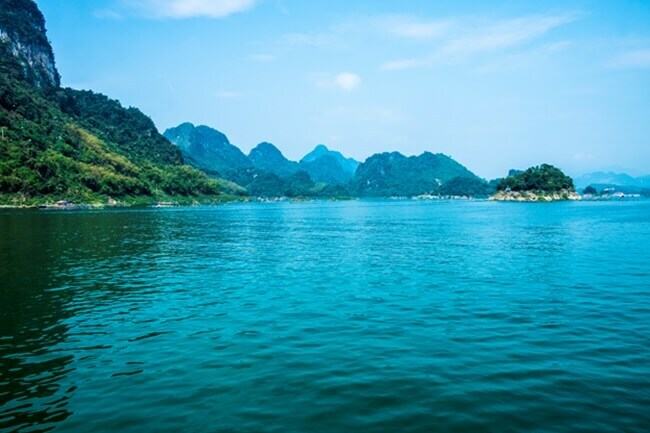 About 120 km far from Hanoi, when visiting Thung Nai, visitors will be able to admire the poetic scenery, blue musical landscapes, cool streams, windmills, waterfalls that have touched the heart of many visitors. Don’t forget to enjoy the delicious dishes here such as the grilled fishes of the Da River, and mountain chickens, so you will not regret when visiting this destination. 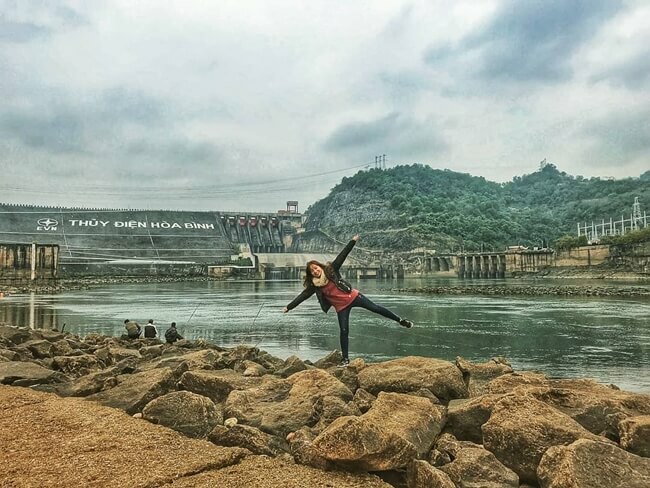 Hoa Binh also has the largest hydropower plant in Vietnam carrying a great mission. Being there, you will have the opportunity to see a harmony of peace, strength no less magnificent, admire the tremendous human efforts to make a considerable block architectural surprise. In the rainy season, you will see a calm and tranquil Da River. Dam Da is the name of the complex of pagodas and caves in Phu Lao commune, Lac Thuy district, Hoa Binh. 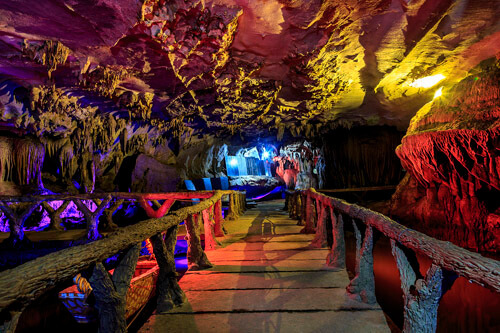 Here, tourists will immerse themselves in the peaceful space of forest trees, rocky mountains and many virtual caves. Coming there, visitors will be surprised by the beautiful scenery that nature has given this land. The stalactite stalactites, stalagmites of all shapes, adjacent size will somewhat stimulate the imagination. The abundant statues will certainly give visitors a relentless excitement. When visiting Hoa Binh, tourists will have good memorable memories. Not only exploring the beauty of nature, but visitors also go trekking and taking photography to get beautiful pictures. Here early in the morning, visitors will have the opportunity to immerse in the mist; the feeling of cold will make you more excited and give you more sense of conquest.